Choosing the best rangefinder can be a hard task for many golfers, mainly due to the wide range of models available, with each claiming to be the best. However, if you want a high quality device that will offer you accuracy, efficiency and versatility without breaking the bank, then you should go with the VPRO500. 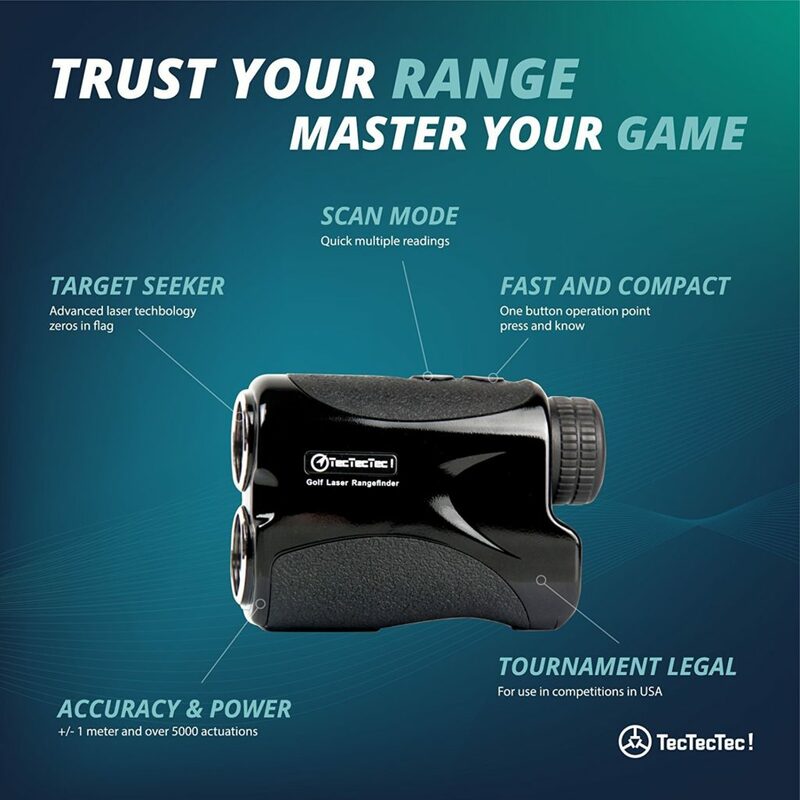 Made by TecTecTec, a relative newcomer into the golf rangefinder scene, this laser rangefinder comes with all the features you will need during the game. Read on to find out what makes the VPRO500 such a great choice. Measuring 4.1” x 2.8” x 1.61” and weighing a mere 185g, the VPRO500 is a compact and lightweight rangefinder that easily fits in the pocket. Despite its light weight, it is built using tough, upscale materials with a soft superficial coating. This makes it quite durable and combines with the shiny black color to give the VPRO500 a very sleek look. The casing on this rangefinder is padded, giving it the capability to withstand any impacts it might encounter. It has a glossy surface which keeps dust and other foreign particles from accumulating on the surface. At the top and bottom, the VPRO500 is fitted with a soft rubber grip that makes it easy to hold onto the device. The top side also has two buttons which are used to control functionality. On one end, it has a loop where a lanyard strap can be fitted. While it cannot be used under water, it can handle being used on a rainy day or being set down on the wet, early morning turf as you line up your shot. The battery pack enclosure is specifically sealed off to ensure that rainwater doesn’t get in and corrode the electrical terminals. Did I mention that it comes with a free battery pack? Yeah, it does. The VPRO500 comes with a state-of-the-art optical system and an advanced digital circuit style. The device is capable of 6x magnification and has a nice through-the-lens display, which makes it easy to read all the information it delivers. The optics are multilayered, giving the lens a high resolution and making it easy to see the target in focus. Combine this with the plus or minus 1 yard accuracy and the finger intuitive operation and you have an excellent rangefinder. The only drawback is that the display is not backlit. This can make it challenging to read the distances in low light. 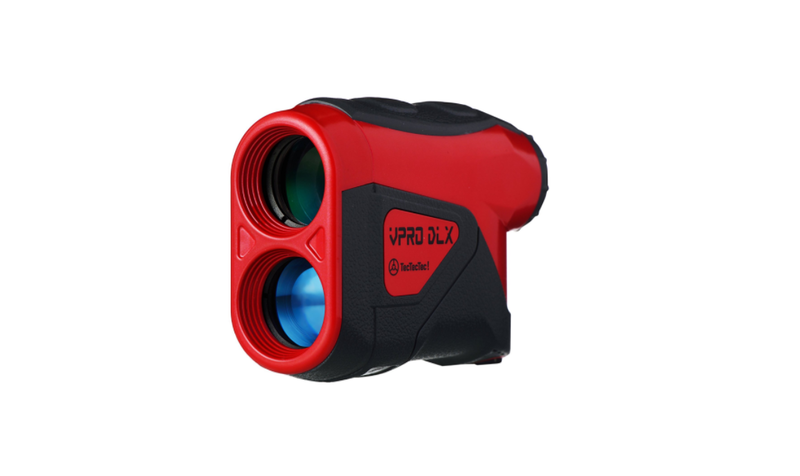 Unlike most budget rangefinders, the VPRO500 also features Auto-Target Acquisition Technology, which filters off any signals coming from other big-sized objects on the course and focuses only on your target for accurate readings. Price: The VPRO500 offers a great set of features at a very affordable price. It can even compete with devices that cost double its price. User friendliness: The rubber grip makes it comfortable to hold, while the finger intuitive operation and through-the-lens display make for easy and smooth usage. Reading the data on the lens is easy as well. It is not blurred nor does it hurt the eyes. Accuracy: It gives measurements with a plus or minus one 1 yard accuracy and it easily locks on to the flag in Pin-seeking mode. Compact and light: The VPRO500 is pocket-sized and weighs just a few ounces, therefore it is easy to carry around or store. When fitted with a lanyard strap, it can be easily and effortlessly strapped around the neck or suspended on the shoulder. Easy to maintain: It has a glossy surface which can be easily cleaned by wiping with a soft cloth. It is also resistant to water and dust. Efficiency: The device comes with modern technology which prevents distance distortion and makes it suitable for use in all courses, in all conditions and on all targets. It also has technology that filters signals from large objects to give accurate and prompt measurements and has automatic power down after a few minutes of idling. 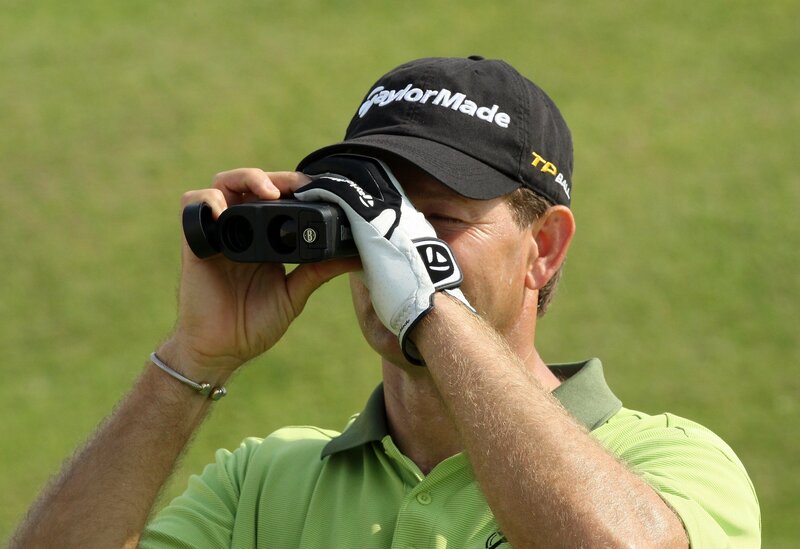 Versatility: The VPRO500 can also be used as a monocular. Battery: The CR2 non-rechargeable battery cell is durable and will power the device for about a year. The battery is a common one that you can easily purchase from your neighborhood store. There’s not much to say about the cons of the VPRO500, because at its price point, it exceeds any expectations one might have. However, it is not as accurate as some models from Bushnell and Leopold. The display could also be improved by adding some backlight. Finally, being a new company, TecTecTec still has a short track record. 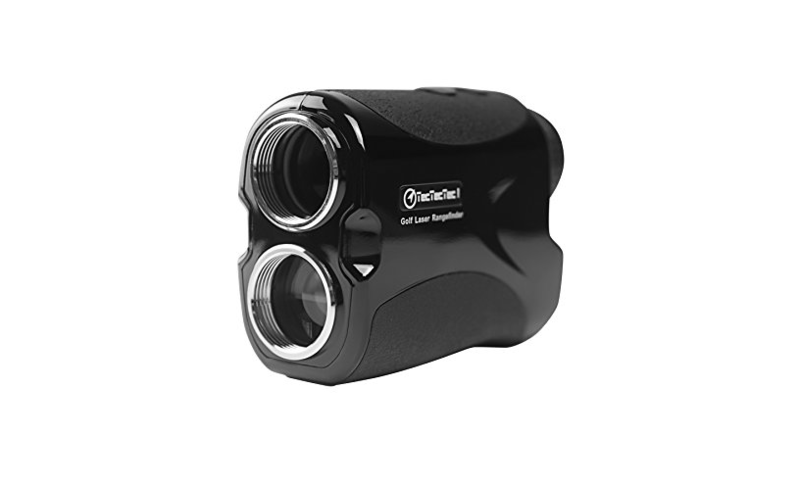 For people looking for a fully featured laser rangefinder but are not willing to shell out hundreds of dollars for high-end models, the TecTecTec VPRO500 is a great choice. It is a small and lightweight device, though it might not be as durable as the pricier models. It has fairly good accuracy, easy operation and comes packed with technology you might expect to find on more expensive rangefinders. All in all, you won’t regret buying the TecTecTec VPRO500.